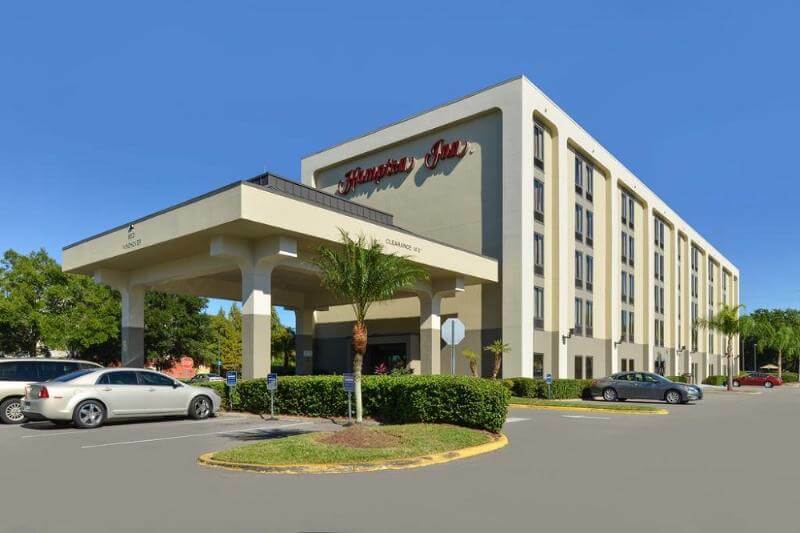 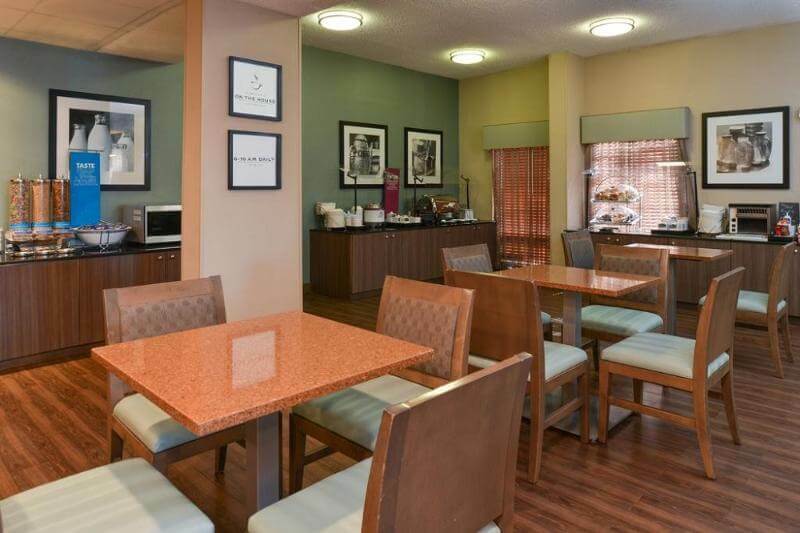 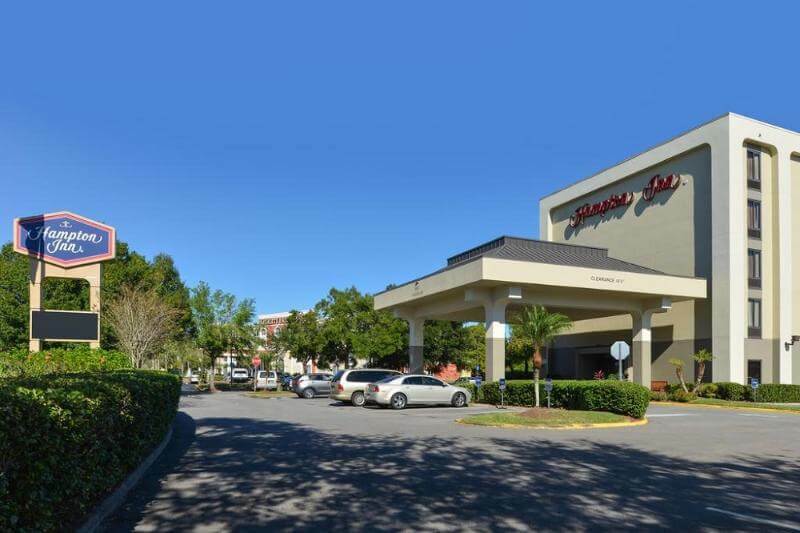 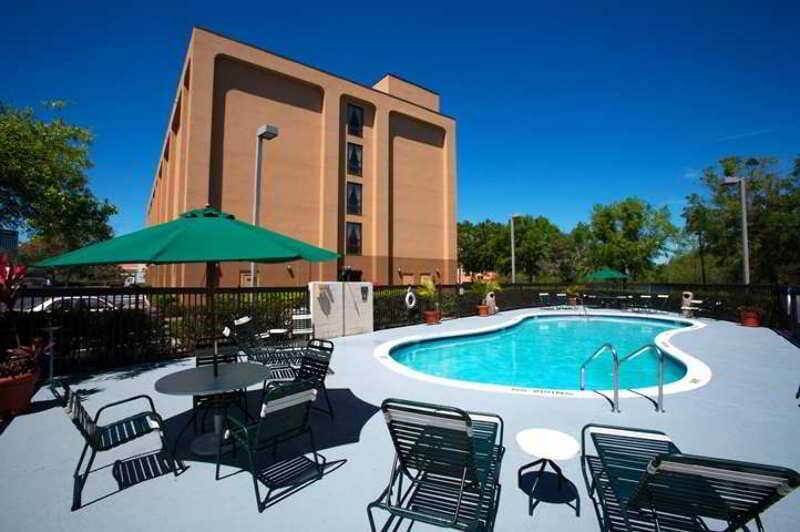 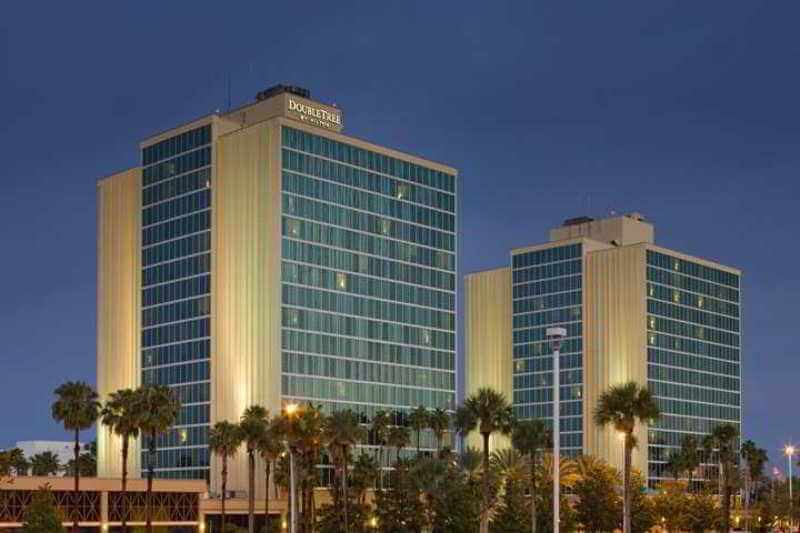 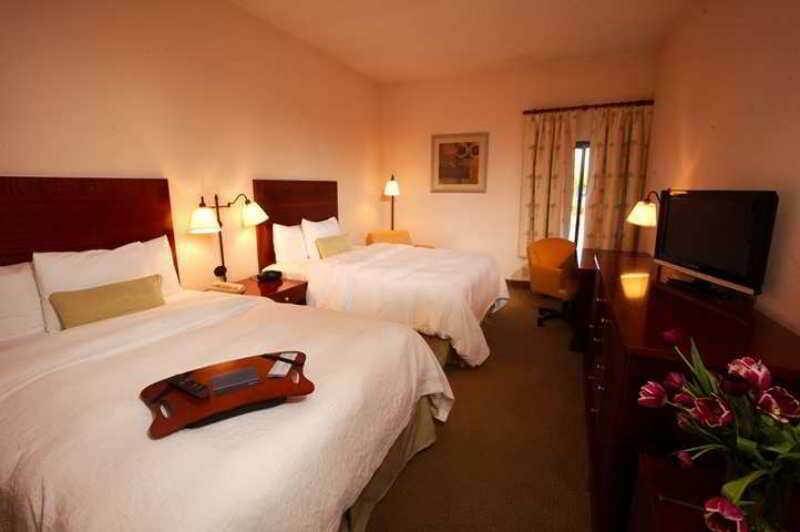 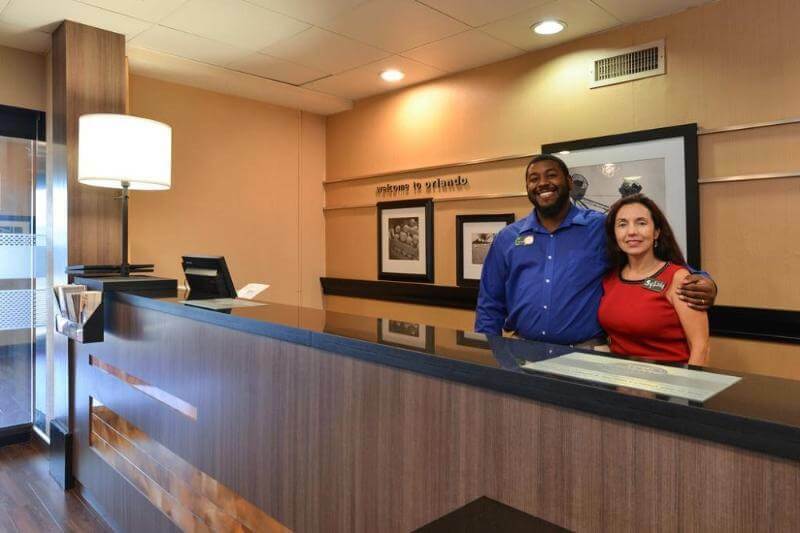 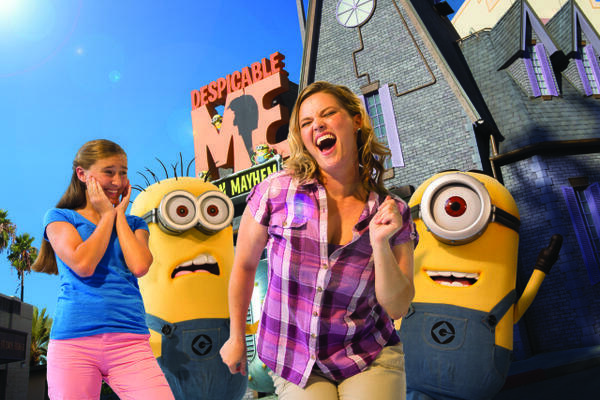 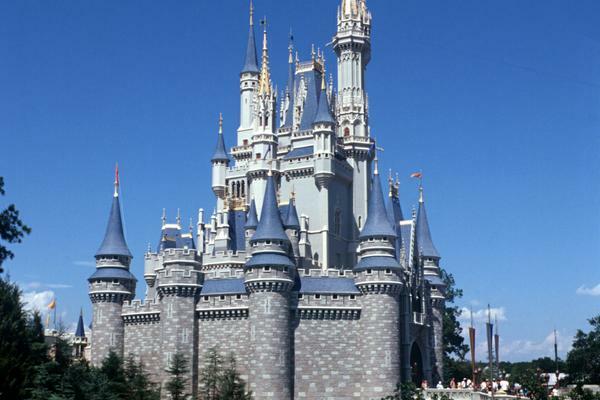 This comfortable hotel is ideally situated for a fun-filled family holiday in Orlando. 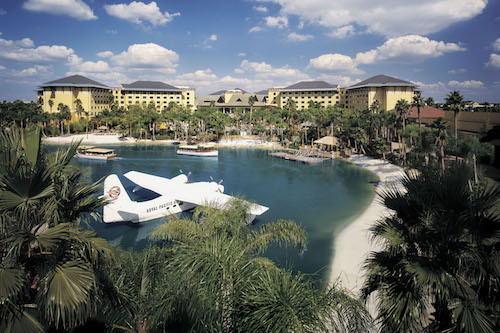 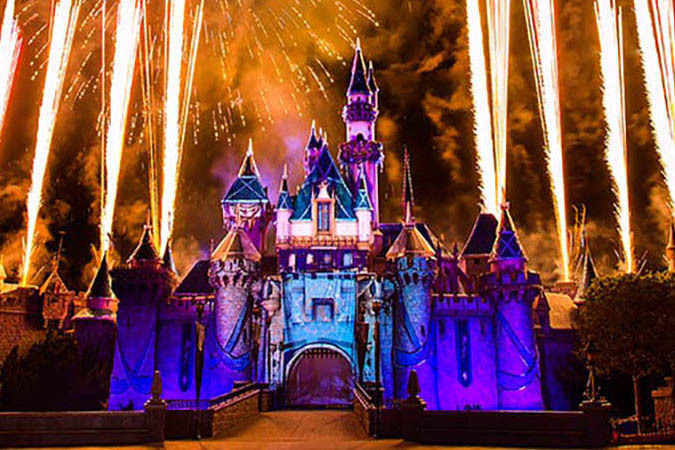 Universal Studios is only a five-minute drive away, while Walt Disney World Resort is only 15 minutes from the hotel. 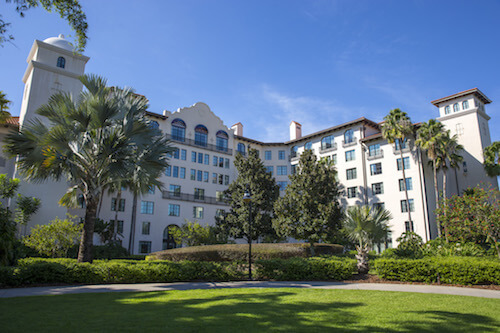 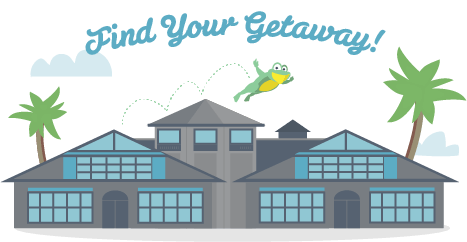 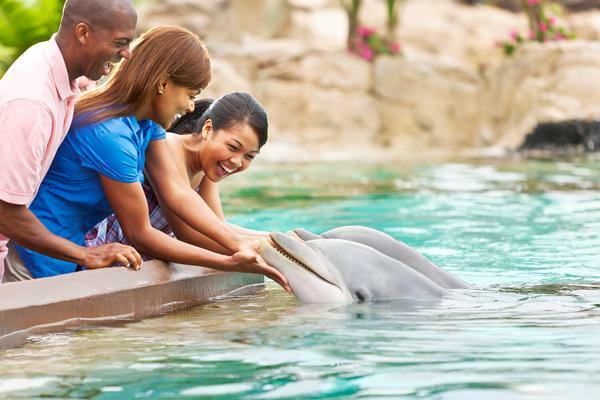 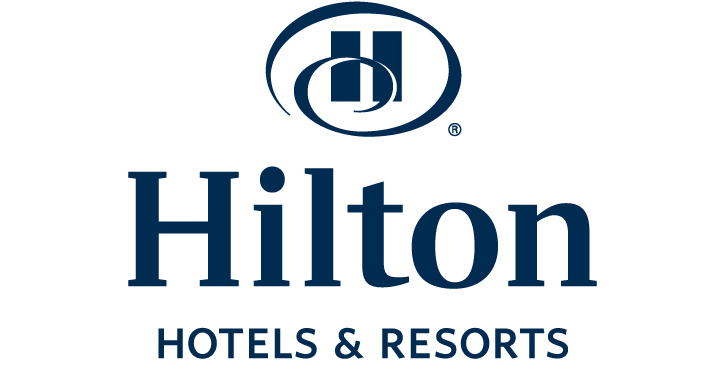 The hotel helpfully offers a free shuttle service to Sea World, Universal Orlando, Holy Land and all of the Walt Disney theme parks, making it easy for guests to enjoy all of the city's famous attractions. 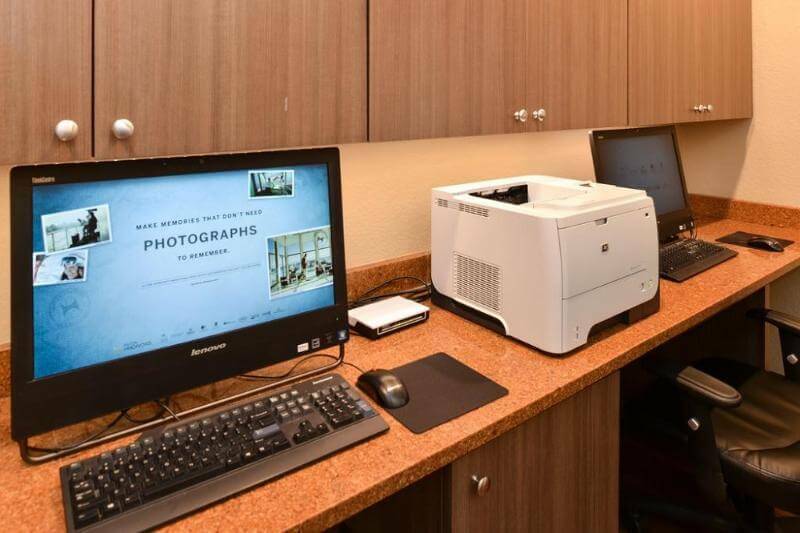 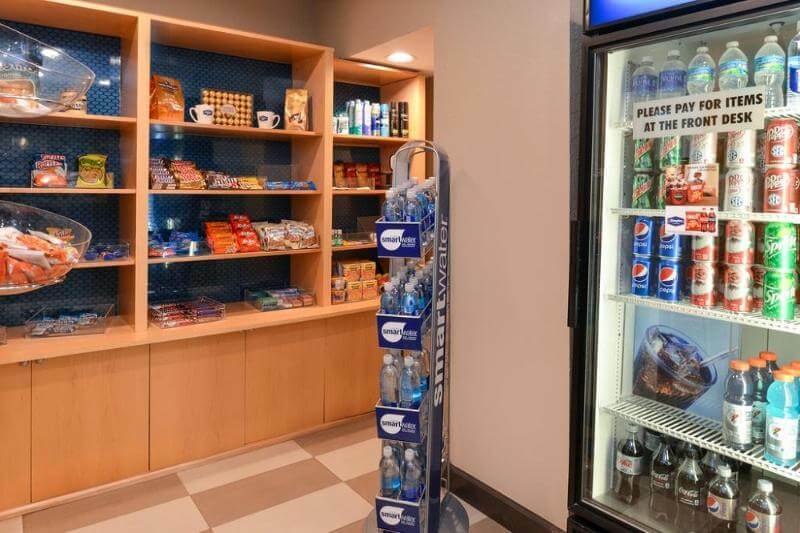 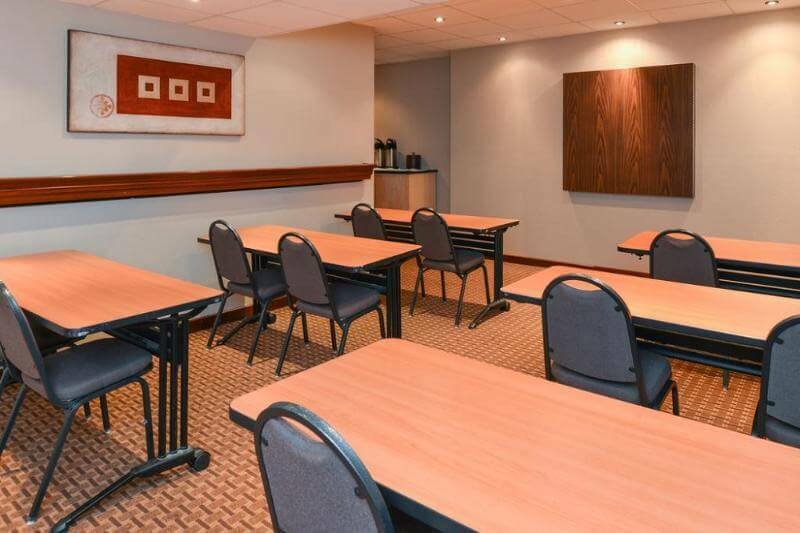 The hotel's cosy guest rooms are spacious and tastefully appointed, each equipped with modern comforts such as a refrigerator, microwave and coffee maker, as well as wireless internet access. 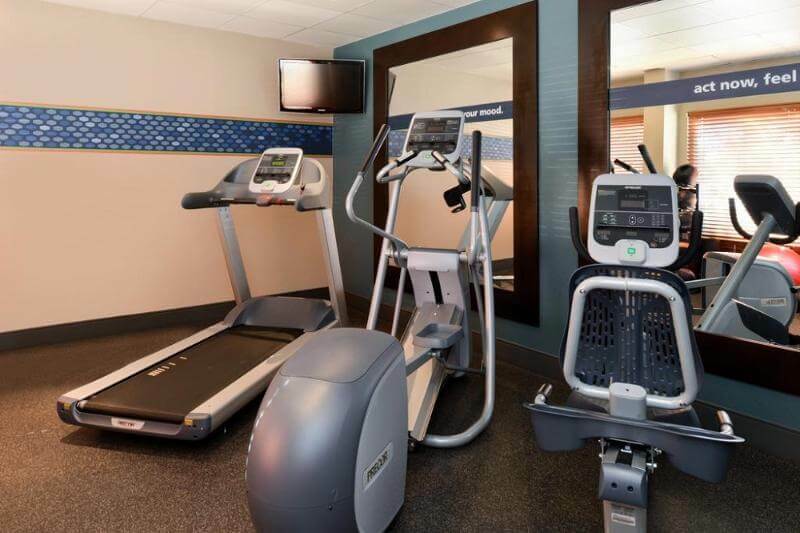 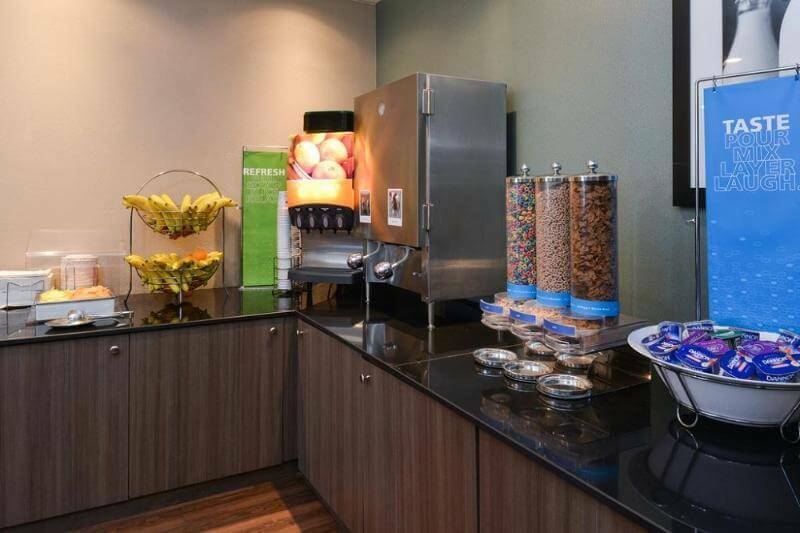 Guests can start a busy day with a complimentary hot breakfast in the breakfast room or takeaway breakfast on weekdays, and later unwind with a swim in the inviting outdoor pool or a workout in the fitness centre, all during a wonderful, unhurried stay in Orlando.